The nonprofit organization Japan Contemporary Dance Network, dedicated to hosting activities linking dance with society, is announcing the “Dance Camp @ the Kinosaki International Arts Center”, a training camp program for instructing young dancers selected through public recruitment. The Dance Camp this time around will be from the perspective of contemporary dance, and participants will learn about complex styles of traditional butoh dance forms and techniques. The camp will prepare 4 key components needed for cultivating a distinctive power of performance expression adapted for the bodies of Japanese people, and a suitable “Practical Dance Workshop” will be held for dancers invited to the space by lecturers. 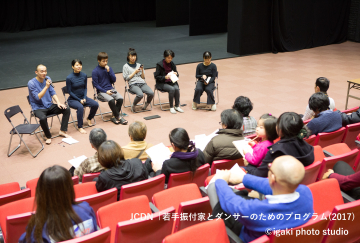 After the end of the first and second half of the course participants will share what they learned by conducting public sharing lecture sessions (including a performance) on ballet or traditional and contemporary Japanese dance. Whether or not you have seen a contemporary dance performance before, please come out to watch! Those who wish to use our services must contact and apply via the Kinosaki International Arts by phone for ❶ by November 30th (Friday) or ❷ by December 14th (Friday). Please reach out to us with the following information through either phone or email. 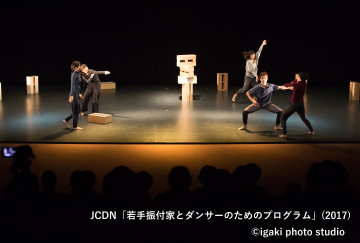 The JCDN was officially founded in 2001 as a networking NPO to connect the medium of dance with society after a three-year preliminary period. Since its foundation, the network has offered a wide variety of projects including Let’s Go Dancing!! to establish a friendly environment for contemporary dance outlets across Japan. Additional programming includes artist training programs, an “International Artist-in-Residence” program for international dance exchanges and collaborations, and the Community Dance Project, which is open for participants both young and old. The JDCN has also hosted communication education projects where dancers coordinate visits to elementary and middle schools, such as Let’s Go Learn in Tohoku!! and the Sanriku International Arts Festival. The network has received the Japan Foundation’s Prize for Global Citizenship in 2006 and the Kyoto City Arts Promotion Prize in 2015.